Continue hoeing weeds when it is warm so they will simply shrivel on the surface and you can gather them up. Cut back hardy geraniums after flowering – some varieties will then flower again. Continue deadheading perennial such as Geums and Penstemons to encourage continual flowering. Prune early-summer flowering shrubs such as Philadelphus and Weigela. I normally cut back the flowered growth to a strong lower shoot and with larger specimens thin out up to a fifth of the old, woody stems. Water your clematises and honeysuckle in long, dry spells to discourage powdery mildew. Continue deadheading roses to encourage flowering. Keep an eye on shrubs with variegated foliage and cut out any that has reverted making sure you go right back to the source. Start summer pruning wisteria by cutting back any long, whippy shoots to five or six buds from a main stem. Stake dahlias if required before they grow too tall and start bending over! Prune cherry and plum trees after fruiting by removing weak, damaged and crossing branches and thin slightly if required. 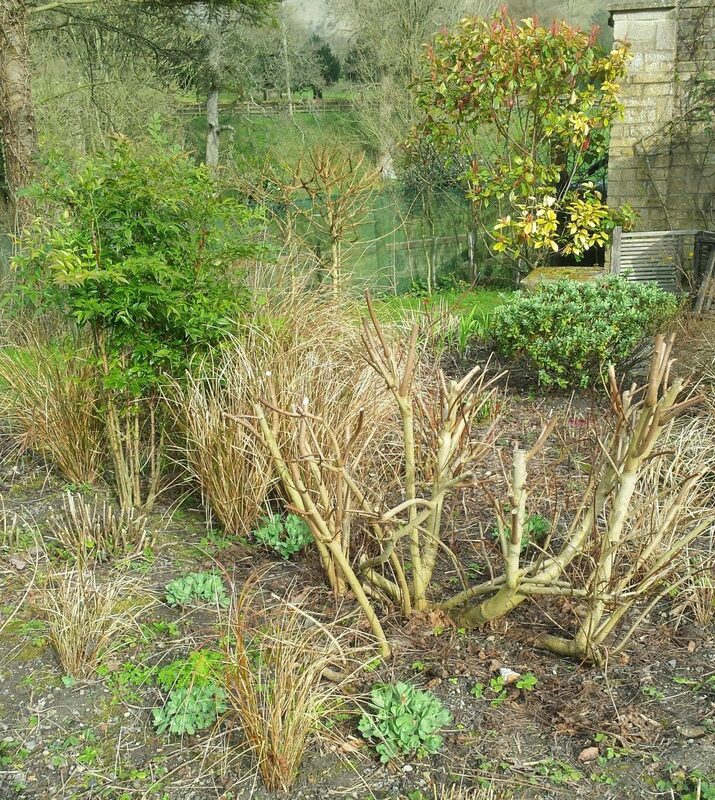 Just spent some time hard pruning an overgrown sage to encourage strong new growth and to prevent it getting too leggy. 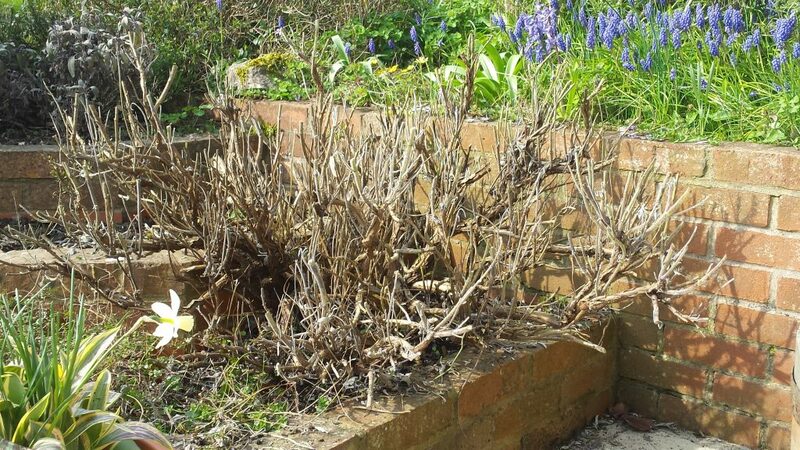 Prune shrub roses (see separate advice note on rose pruning) and give a good mulch of manure afterwards making sure not to cover the base of the plant as roses hate that. 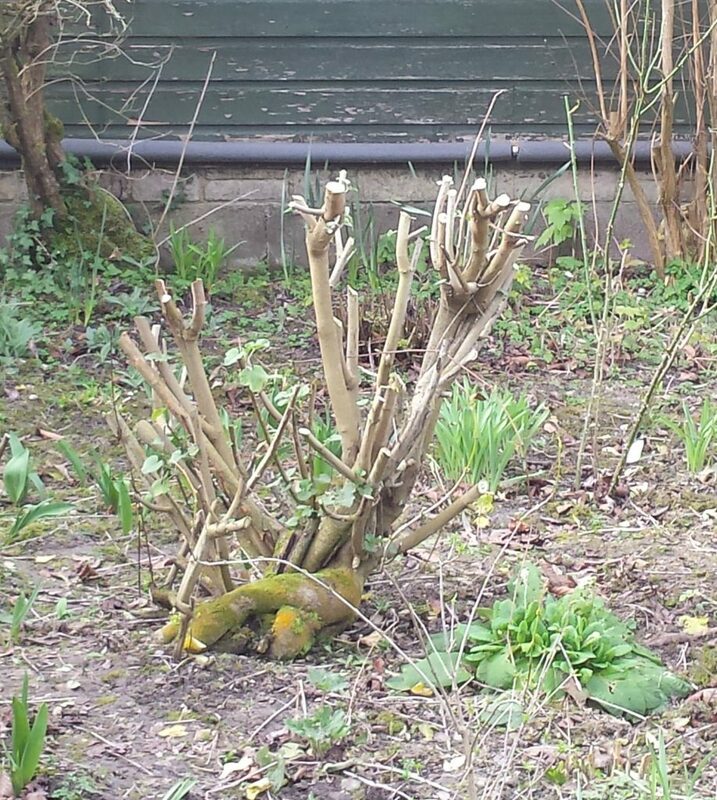 Prune mophead hydrangea back to first two plump buds and cut out one or two of the oldest stems at the base to encourage new growth. Prune Hydrangea Paniculata in much the same way but these can be pruned harder by cutting back to the lowest pair of healthy buds to create a low framework of branches which should produce large flowers. 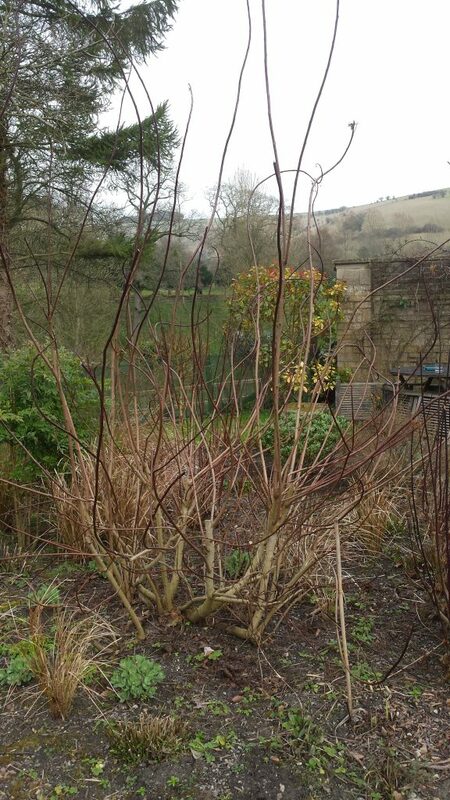 Prune the coloured stems of cornus (dogwood) to encourage new growth. Stick cut stems in jugs of water and they will bud and flower for weeks. Prune cotinus (smoke bush). Mine is a bit of a thug so I am quite ruthless pruning down to around 50cm at the expense of the flowers but the resulting leaf display is fabulous! 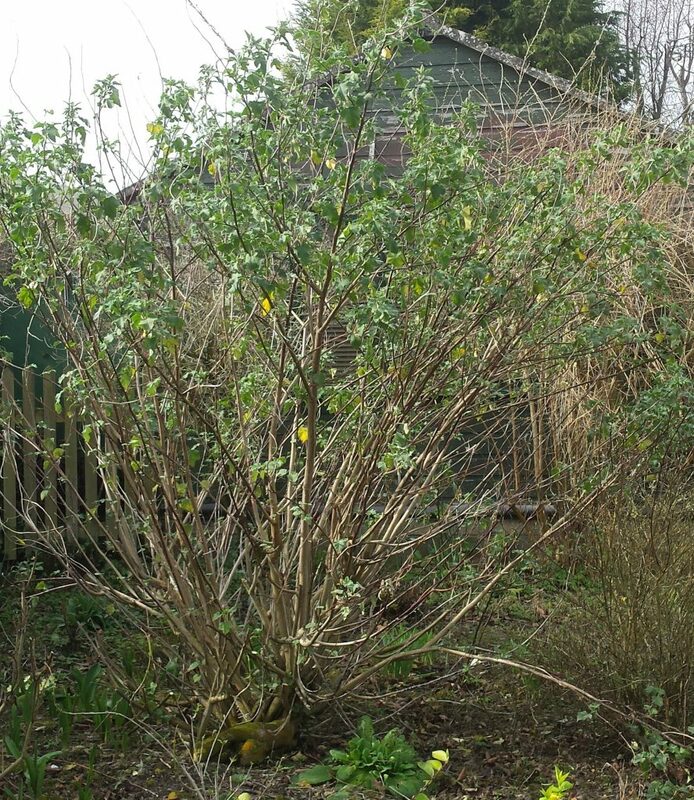 Cut back honeysuckle – again be quite ruthless if the plant has got out of hand. 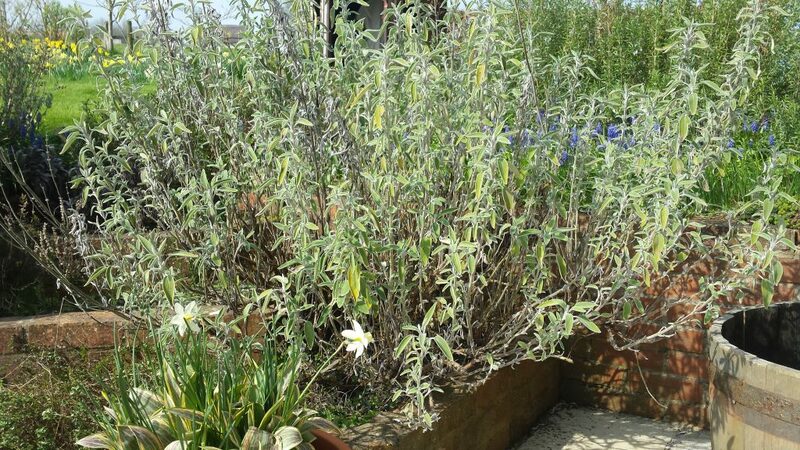 Cut down perennials such as Penstemons and Perovskia (Russian Sage). Penstemons can be cut down almost to ground level and Perovskia to around 15cm. Shear off old leaves of Epimedium to allow fresh new leaves to pop up from below. Start mulching with manure or a combination of well rotted leaf mould and compost.